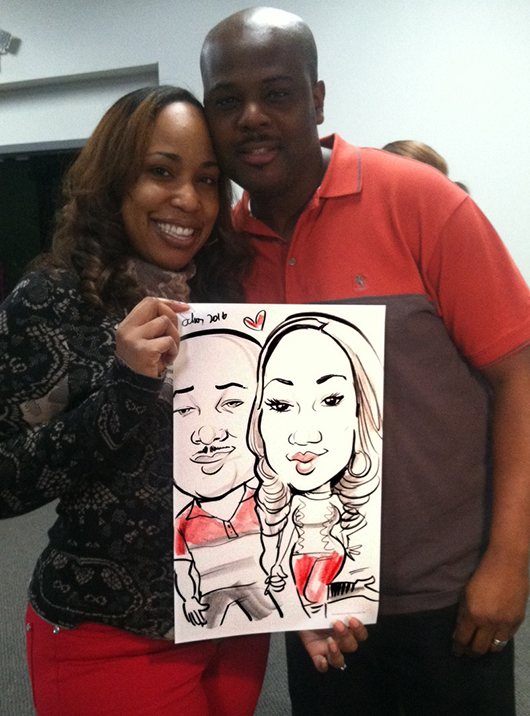 Caricatures make a great addition to church events because they are the ultimate ice breaker. Guests are entertained AND they get a one-of-kind party favor to remember the event! Click on the “request a quote” button to the right to get started! 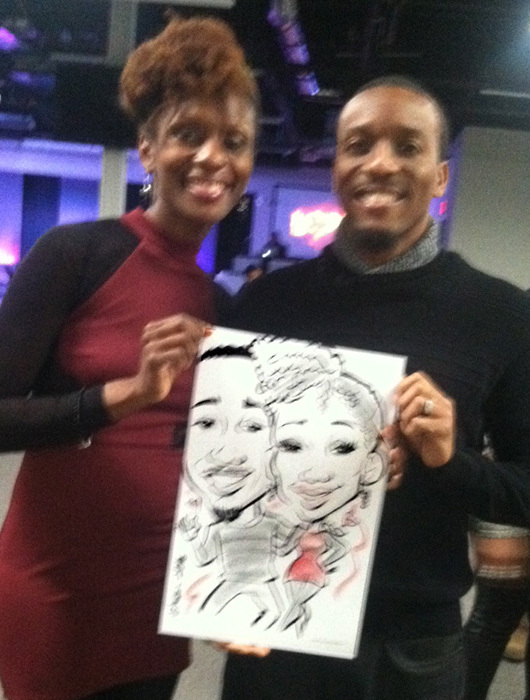 Laura drew caricatures at an event for Victory Christian Ministries International in White Plains, Maryland last night. Lovely couples! Need to get a new phone so these don’t turn out so blurry!